Discussion in 'iPhone and iPad Games' started by SnoutUP, Oct 10, 2016. 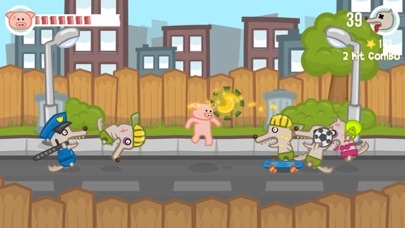 I just published new Iron Snout release, which has a ton of achievements, multiple leaderboards and a bunch of new enemy wolves to fight. It would mean a lot to me if you'd take your time to check it out - it's free and pretty low on ads! 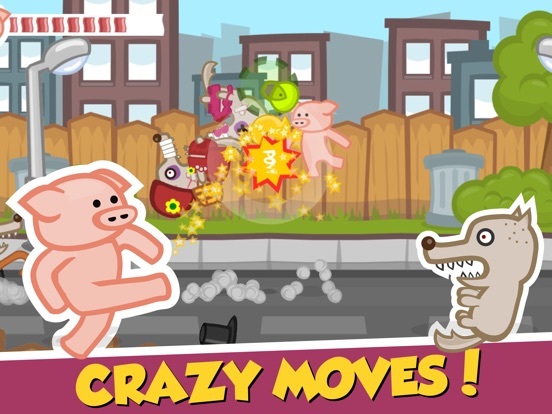 Tips: you can double jump, catch enemy projectiles, reflect projectiles with enemy weapons, use enemy heads as a weapon, knockback enemies in to rockets and more! 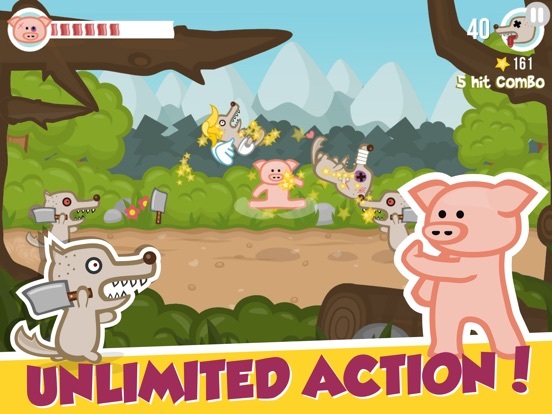 Karate moves, Jump Kicks, and weapons... all done by a pig! How could you not like this? Thank you! Please, leave a review in the game page if you have time - it means a lot to a newly released game! 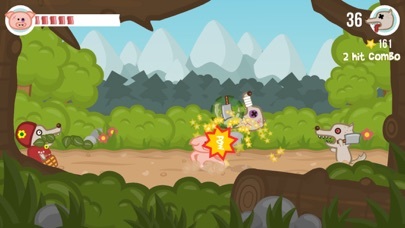 There is something madly entertaining in beating up wolves with their own weapons! Recorded a new trailer, which better represents the game, shows the city area gameplay and is not littered with Steam watermarks! How are you monetizing? I don't see any ads or anything. I'd like to send you something for this fun game. I loved the original game too. Edit- I just read it has ads but I've played multiple times over days and I haven't even seen one. Not one. Also this game really is fun on its own. It is. I also love the tap and swipe controls. What you could do is add armor and weapons as IAP. I'd buy it. Just to send you money. Also a no ads IAP I'd purchase even though I have yet to see one lol. I just really really love this game. 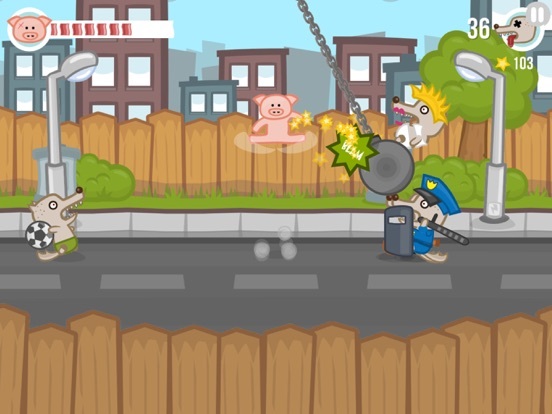 I love the different enemies and how you use their own weapons against them to gory effect. I have to go with 5 stars on this even without no way to get rid of the ads yet because of the extreme low frequency and the amount of fun this game offers. I probably won't be adding any IAPs in this game. It just wasn't designed to work with any upgrades or items. Well I haven't seen one ad. I played for over 40 minutes last night. I was having a great time. 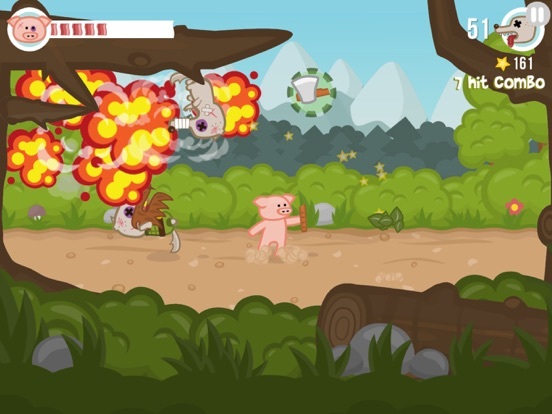 I absolutely love those flying rocket pigs when I kick them and their rockets land on the other enemies. I crack up laughing. For some reason I find it gratifying. So you've made nothing from me that's for sure as regards to the ads. The thing is people like myself hate ads. I don't mind paying the developer to remove them if the game is good. This is a good game. Please if you would consider adding a simple in app purchase to remove ads it would be fantastic. It was my major issue with the original game. Or make a premium version of the game and have it paid up front. I'll buy it. Help me to actually give you money lol!!!! Haha, don't worry about it - enjoy a fully free game! I'm not planning to submit an update to iTunes very soon, because it would hide current reviews. Maybe in the future I'll consider adding iAP to remove ads. I see in the stats, that there are ad views happening, so maybe you just got lucky! What country are you from if you don't mind answering that? Some countries get less ads available. Making premium games is something I'm not ready to do. It's hard enough to promote and get players to a free one... Paid games fail even more frequently. 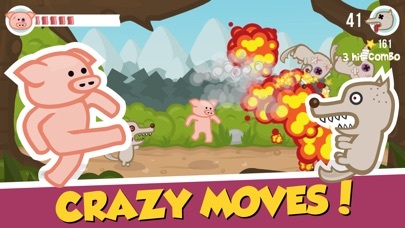 If you have time, check out my other games, maybe you'll find ads there! This could be a very very very amazing game . Don't get me wrong the game is really good. I feel it need some currency collecting to unlock stuff in the game like clothes, backgrounds and such to keep me playing. Not really into high score games because I lack friends on the gamecenter to compare stats. The game has all the makings of something special. Oh, I do understand what you mean. 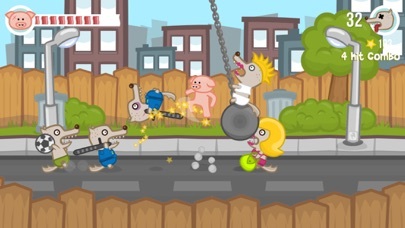 The importance of unlockables and player progression is something what I realized too late for Iron Snout (adding unlockables and outfits to it is just too hard and time-consuming), but trying to make my new project called Pork Chopper more replayable. The link didn't work for me and I'm in NY as well. 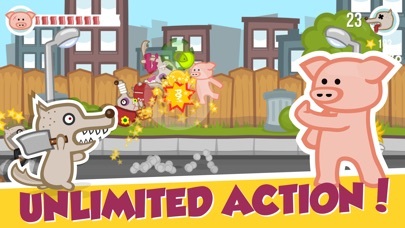 Really enjoyed this on Steam when it was first released, and I hadn't even realised that there was a mobile version until I saw Iron Snout+. Been reliving my enjoyment since I first downloaded, and it's STILL FREE. What are people scoring by the way? I got a 237 on the City level. Holy crap. 237? I need more practice. I'm not even close. I'm embarrassed to say compared to that score lol. It really is a fun game. Don't worry, I can't get to 200 on mobile version myself! But mostly because I prefer to play for style, not for highscore and risk losing HP while doing weird stuff. I still have no idea why that link to my iTunes dev page doesn't work. I shared it on Twitter and it loaded fine for everyone, so maybe these forums do some sort of redirect iTunes doesn't like. I posted to your other game. That game looks right up my alley. I'm your man if you want help testing. I do wish you could expand this one but I understand. I just love this game. You really nailed the controls.